Click on the headline or scroll down the page. 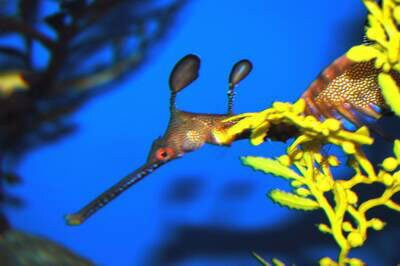 Video: Horizon International "Discoveries in Coral Reefs"
Corals and coral reefs have always spoken to the imagination. Their fascinating shapes and forms have been created by small animals. 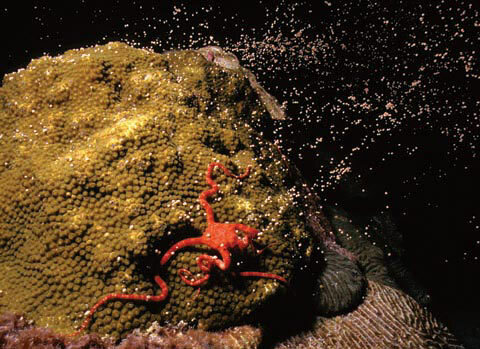 No animal species has come close to erecting buildings as immense as the structures made by the tiny coral animals. The Australian Great Barrier Reef, constructed by coral is the largest structure ever made by living organisms, about 2000 by 140 kilometers, 120 meters high, visible from the moon. Magic Porthole takes you into the fascinating world of coral reefs with videos, photographs, reef creatures who will be your guides, games to enjoy while making discoveries about the lives of boxing crabs, moray eels, sharks, and many other creatures who are part of the fascinating and fragile life in coral reefs. Why should everyone be concerned about and want to know more about coral reefs? As Coral reefs are destroyed, fish that are a part of peoples everyday diet are being lost. 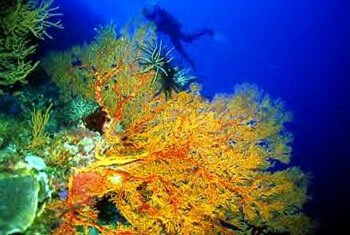 Coral reefs are home to an estimated 25 % of all marine species. an international group of ecologists and economists show that the loss of biodiversity is profoundly reducing the oceans ability to produce seafood, resist diseases, filter pollutants, and rebound from stresses such as over fishing and climate change. How many humans depend on the oceans and coral reefs? Nearly 500 million people depend on coral reefs for tourism income and coastal protection, and about 30 million of those rely on coral reefs for their food, according to a 2004 report on the status of coral reefs worldwide commissioned by the Australian government. 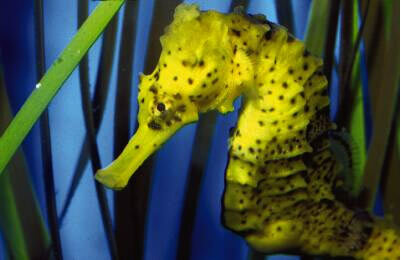 Brought to you in part by Birch Aquarium at Scripps which is working to preserve the seahorse worldwide through its education program and on-site propagation of seahorses. 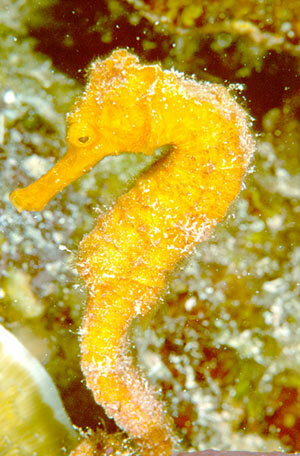 Seahorse anatomy: Take a look inside the seahorse and see how it functions. 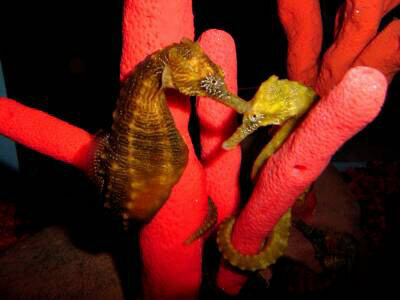 To date the Birch Aquarium has shipped 1,428 seahorse specimens to 45 aquarium facilities worldwide. 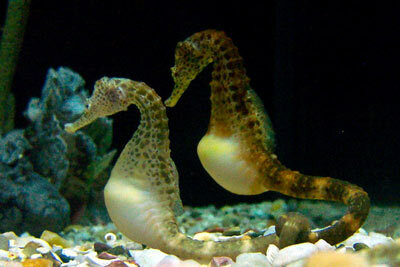 Its propagation project started in 1994 for the Pacific seahorse, Hippocampus ingens. Birch Aquarium at Scripps, located high atop the dazzling Pacific Ocean in La Jolla, Calif., is the public exploration center for the world-renowned Scripps Institution of Oceanography at UC San Diego. 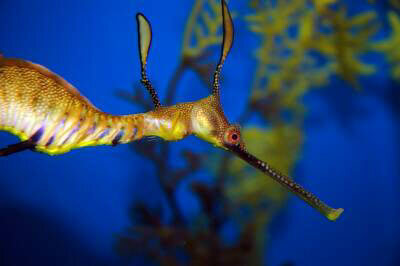 More than 400,000 people, including more than 70,000 school children, visit the aquarium each year. Visitors discover more than 60 habitats of Pacific marine life from the frigid waters of the Pacific Northwest to the tropics. An interactive museum showcases research discoveries by Scripps scientists on climate, Earth, and ocean science. Scripps Oceanography was founded in 1903 and has maintained a public aquarium and science museum for more than a century. Birch Aquarium's public programs and interactive exhibits for all ages reveal the wonders of the ocean world in marine life displays and cutting-edge research discoveries made by Scripps scientists. 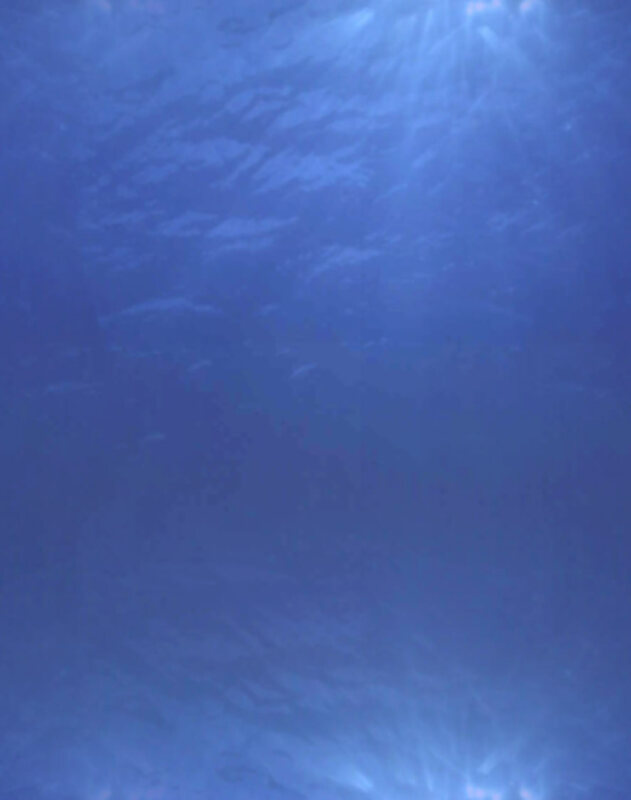 The mission of the Birch Aquarium at Scripps is to provide ocean science education, to interpret Scripps research, and to promote ocean conservation. Click to see an image of zooxanthellae from NOAA. What are zooxanthellae? 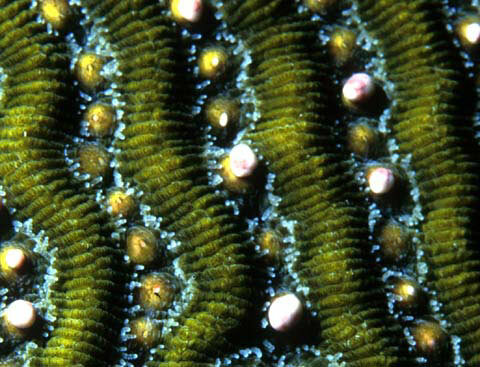 This description is from NOAA: Tiny plant cells called zooxanthellae live within most types of coral polyps. 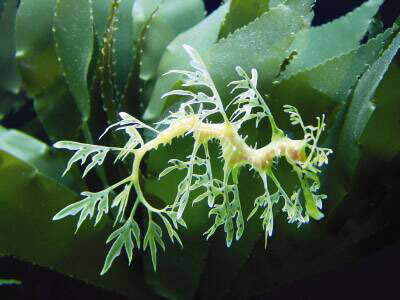 They help the coral survive by providing it with food resulting from photosynthesis. In turn, the coral polyps provide the cells with a protected environment and the nutrients they need to carry out photosynthesis. 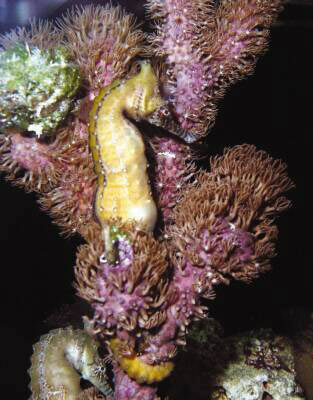 The Magic Porthole Discoveries in Coral Reefs TV series preview was produced using research and filming in Bonaire by Horizons team. It is a Horizon International Production. Horizon gratefully recognizes the many others who participated with research and with the production of the Bonaire material and the individuals, foundations and businesses that contributed funds or in-kind support. They include Yale University, Harvard University, Horizons Coral Reef Advisory Board (link to board on Magic Porthole) and the Horizon Scientific Review Board, Plaza Resort Bonaire, Tourism Corporation Bonaire. ALM Antillean AirlinesAdams Unlimited, Bonaire Marine Park, Harbor Village Beach Resort, the Virginia Wellington Cabot Foundation, Alfred Lippincott Foundation, Dr. Josephine Murray. Video clip (Windows Media Player) : Why Be Concerned?